Hailing from Cleveland, OH, Gabriel Fulvimar brings us some glimmering hybrid pop with his own unique twist. It’s his debut for Burger Records and it’s already onto its second pressing. Fluttering synths, colorfully psyched-out guitars, nasally vocals and a constant haze all help characterize this unique record. It’s a murky, shape-shifting sound, often times bringing to mind a haunted carnival, but really this is spaced-out hybrid pop at its very best. It’s all heavily textured and kaleidoscopic, evidenced nicely in smokey tracks like “Cover It Up” or “Slave” with their menacing haze, which goes a long way to help bottle up and label this sound as its own. Other tracks like “58th Street Fingers,” “Go Ahead” (a cover of the Squires from 1966) or “Greased” feature that bubbly, carnival-esque sound, yet despite the joyous vibes, they still sound a bit cold. You could attribute that to the dreary tone of Fulvimar’s vocals, but really it’s just the overall complexion of this material. There’s an awful lot of sick guitar lickage scattered within songs (like “Feast of the First Morning” or “Heart”) which just goes to show this is an excellently balanced hybrid sound of guitars and electronics. A searing track like “Cover It Up” shows off this stunning balance with staggering hooks and the enveloping fuzz that wraps up the track, going a long way to bring a heavily (and heavenly) stoned vibe to the table. Hear it for yourself with these few tracks from the LP below to keep the high-vibes flowing. Grab this LP while you still can because the second press is bound to sell out as well! BUY the LP directly from Burger Records – 2nd press of 500, color edition still available ! 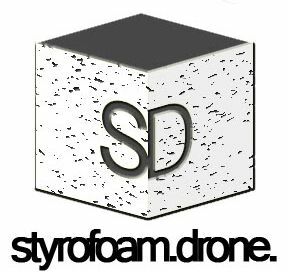 Posted on November 30, 2012 November 30, 2012 by styrofoamdronePosted in LP, Reviews, Still Spinnin'Tagged dream pop, electronic, psychedelic.